Note: This was part of a larger 7-Week Series to Asia! Read more about that trip here. One of my favorite people, Remy (aka @veggiekins) is from Shanghai, and she's the queen of vegan, so if she can live and thrive in this city, I knew vegan food wouldn't be too hard to find. My other favorite person, Zoey (wechat ID: sweetbeets) runs vegan events/yoga in Shanghai... so with these two guides, Shanghai ended up being the #1 place on my Asia trip that left me the most full (I was so full one day that I only ate one meal and then slept at 6pm from my food baby). The food is amazing, the sites are Instagramable, everything is blocked online (get a VPN), and it's a big city in China where I managed to get around without knowing Chinese. 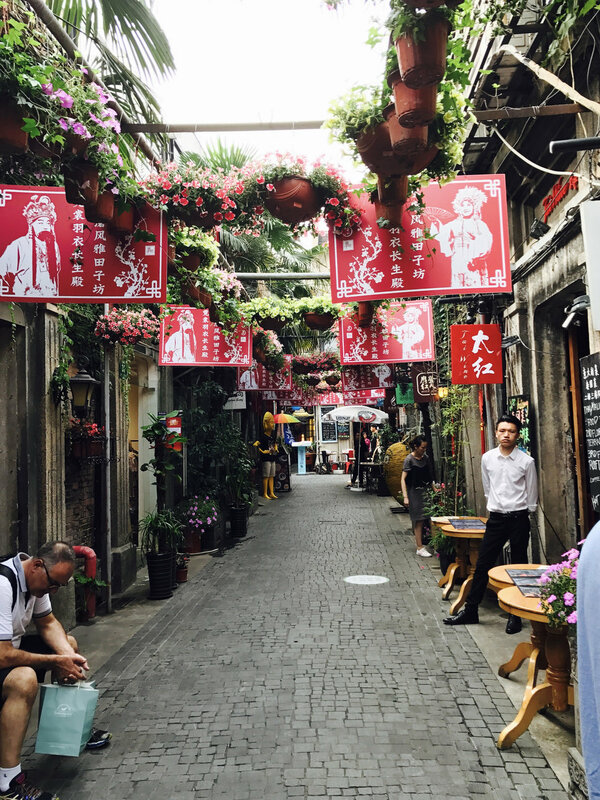 It's a great place to visit, so here are my tips on how I traveled in Shanghai! Disclaimer: When I travel, I'm looking to eat "authentic" food from that country/region. So I'm sure there are tons of amazing vegan restaurants that serve American food, Indian food, Japanese food, etc...but I'm probably not visiting them on my trip. You can always find a full list of vegan restaurants abroad on HappyCow. Being vegan in Shanghai actually isn't that difficult because you can always order steamed/stir-fried vegetables at any restaurant (just watch out for the oyster sauce), get some tofu (no meat), and then complete that meal with some white rice. However, if you want some more of the "traditional" Shanghainese meals like soup dumplings (xiao long bao), you will have to go to a vegan restaurant. I outlined some of the restaurants I went to below to help with your travel plans! PS: Thanks to @penguinfightsback for this tip! "If you're looking for authentic vegan Chinese food try 土豆丝 (shredded potato, tastes better than it sounds), stir fried eggplant with soy sauce, 包子with 香菇，蔬菜, but better ask if they do put meat into the filling. 豆浆油条 is THE breakfast in shanghai and it is basically a fluffy fried bread stick with soy sauce (fresh soy sauce in china is so good)"
3:25 PM: 你好, Motherland!! Arrive at Shanghai Pudong International Airport. 12:00-7:30 PM: Have lunch, explore Shanghai, and have dinner with Remy! 8:00PM: End the early night and go back to AirBNB to get beauty sleep. 5:30-6:30AM: Take Taxi to Shanghai Pudong International Airport. 6:30-8:30AM: Arrive at airport and go through security. Get breakfast at airport. Pray afterwards because we survived China without speaking Chinese. 8:30AM: Departing flight to Korea! !